The Skrapr has been designed to help you with those tough clean-up tasks, making it easier to your possessions immaculate. Manufactured from a patented resin, this unique tool does promote mildew or bacteria growth, is dishwasher safe, and can be used on most common surfaces! 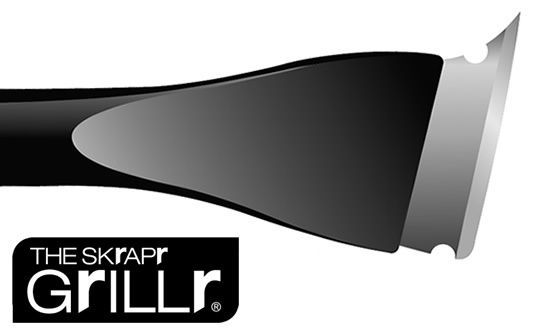 The Skrapr moves effortlessly to clean-away food, dirt particles, ice, paint and any messes on most smooth surfaces. Used by Tile & Hardwood floor installers, glass installers, contractors, cabinet makers, granite counter installers, tool and die makers, mason and bricklayers. Engineered to remove dried paint splatters on hardwood or glass, unwanted epoxy and adhesives on granite counters, sealants on door or window frames, greases and other stubborn stains. 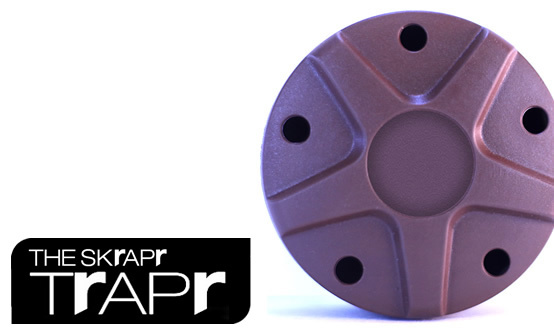 The SKRAPR HD also excels at cleaning manufacturing and process equipment such as moulding machines and dryers. Most messes can be scraped up using no harsh chemicals with water as the only lubricant. 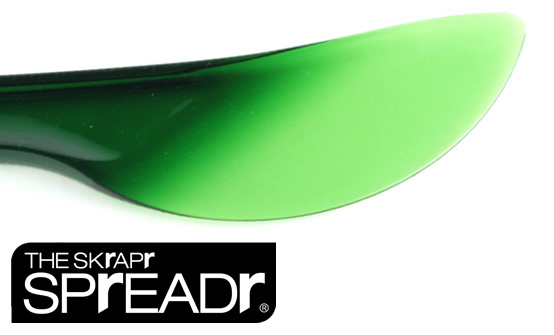 Easy to use and safe for children, The Spreadr is designed to apply your favourite spread in a uniform thickness, smoothly and effortlessly. Pliable enough to gently apply delicate spreads such as ising and cream cheese to your baked or non-baked goods. Safely slices, spreads – great for parties and safe for kids – The Spreadr can do it all! 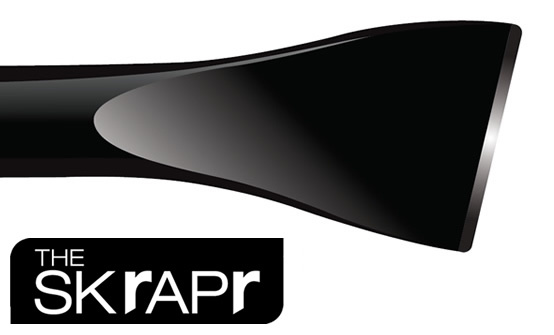 Welcome the newest member of the Skrapr Family – The Curv! this remarkable new tool will eliminate your old, worn down wooden spoons, those horrible silicone spatula’s with their ends forever falling off, and the metal spoon used to check your sauce. The Curv is manufactured from a high impact resin and is protected against mold and mildew. It is also heat resistant and dishwasher safe. 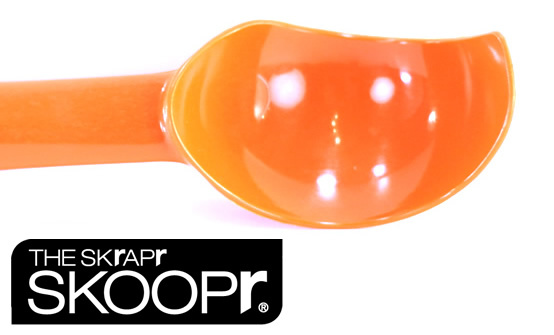 Easy to use and safe for children the Skoopr is designed to scoop ice cream effectively from round or square containers. Available in assorted colours, great for parties and safe for children. The Skoopr features the ergonomically flat side edge and claw nose to remove ice cream efficiently and quickly from all angles of any shaped container. The Skoopr is dishwasher safe and mildew resistant. Safe and easy to use. Simply place the Trapr in areas affected by earwigs, slugs or ants. Made with organic non-toxic proprietary material, the Trapr is pet safe and environmentally friendly. With the Trapr patented bait compound, earwigs are instinctively drawn in to the Trapr where once inside the insects are unable to escape. Safe around pets and flowers alike, the Trapr is effect for any gardens, yard or farm area. The Glowr wayfinding illumination discs are a visionary, boundary marking system used to outline areas in exetremely dark nighttime conditions. 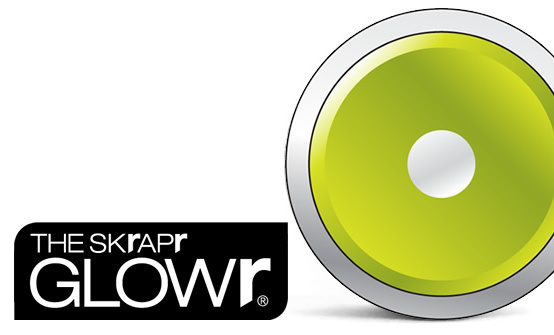 The Glowr safety illumination systems is a green alternative to expensive electrical lighting and ineffective reflectors. 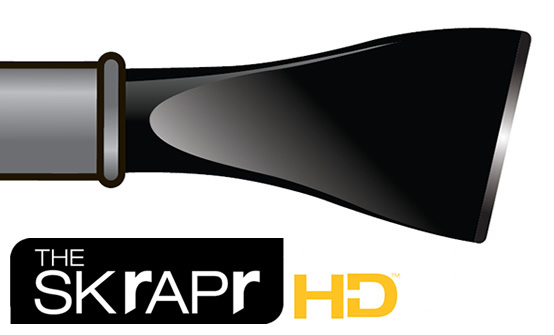 Skrapr.com Operated by: Handy Home Products Inc.